Thomas K. Hearn Jr., Wake Forest president emeritus, and T. Eugene Worrell, Wake Forest alumnus and benefactor, were awarded the Medallion of Merit at Wake Forest University’s Founders’ Day Convocation Feb. 21. 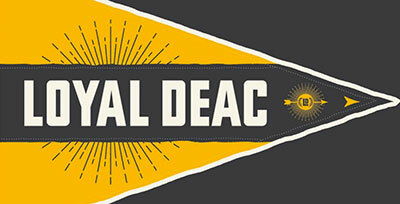 The Medallion of Merit is Wake Forest’s highest award for service to the university. Wake Forest President Nathan O. Hatch presented the awards during the ceremony in Wait Chapel which featured an address delivered by Sen. Richard Burr. Several faculty awards were also presented during the ceremony. Hearn began his 22-year tenure as Wake Forest’s 12th president in 1983. Considered a visionary in higher education, Hearn is credited with helping to elevate Wake Forest from a highly-regarded regional university to one of the top 30 national universities in the United States. Hearn retired from office June 30, 2005. Last year, the Wake Forest Board of Trustees honored him by changing the name of University Plaza, the lawn that stretches from Wait Chapel to Reynolda Hall, to Thomas K. Hearn Jr. Plaza. A portrait of Hearn was unveiled during convocation. Ben Wohlberg, an artist from Rhode Island, painted the portrait. It will be displayed on the second floor of Reynolda Hall alongside portraits of Wake Forest’s 11 other former presidents. A native of Alabama, Hearn lives in Winston-Salem with his wife, Laura. 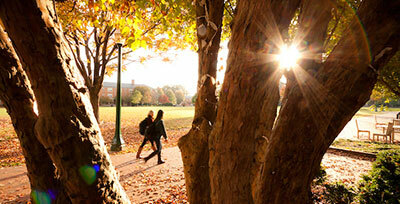 Worrell, a 1940 graduate of Wake Forest, has made a number of gifts to the university. 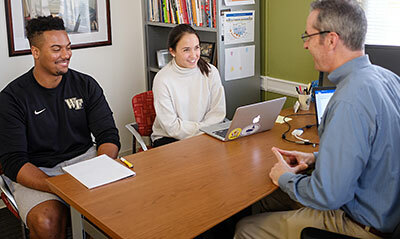 The university named the Worrell Professional Center for Law and Management and Worrell House, a residential study center in London for Wake Forest students, in his honor. The Worrell Professorship of Anglo-American Studies is also named for him. Worrell is a life trustee at the university. He devoted much of his career to developing a chain of media outlets, including newspapers and radio and television stations. He lives in Charlottesville, Va., with his wife, Anne. 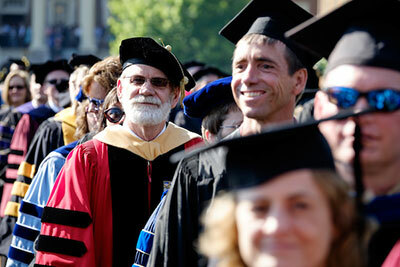 University awards for teaching and research were presented to faculty during convocation. Mary F. Foskett, Zachary T. Smith Associate Professor of Religion, was awarded the Kulynych Family Omicron Delta Kappa Award for Contribution to Student Life. The Reid-Doyle Prize for Excellence in Teaching was presented to Brook M. Davis, assistant professor of theatre and dance. The Award for Excellence in Research was presented to Gregory B. Cook, associate professor of physics. The Kienzle Teaching Award was presented to Charles R. Kennedy Jr., associate professor of management. Charles P. Rose, professor of law, was awarded the Joseph Branch Excellence in Teaching Award. Robert C. Nash, associate professor of finance, and Patrick R. McMullen, associate professor of management, were presented the Cowan Faculty Research Prize.